With 1992’s Baraka, director Ron Fricke, composer Michael Stearns, and producers Mark Magidson and Alton Walpole have created a wordless cultural—and internal—journey unlike any other. 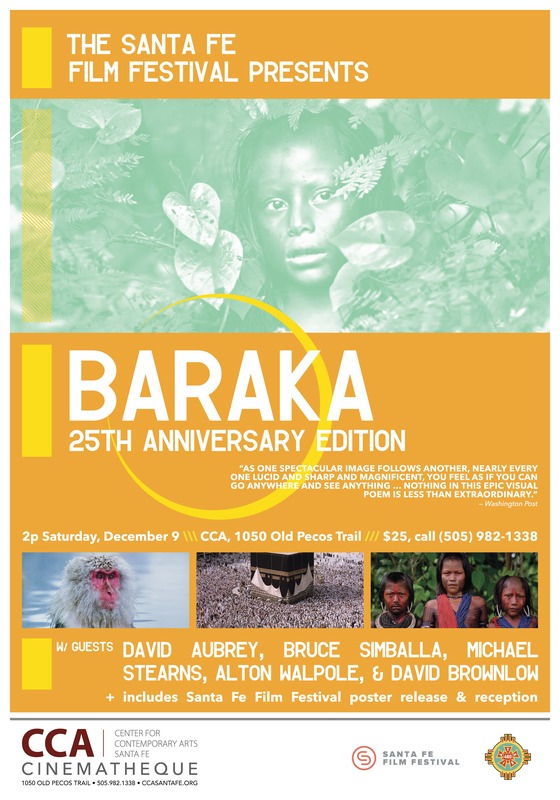 Enhanced by award-winning composer Stearns’s score, Baraka’s visual masterpiece opens avenues of philosophy seen through the everyday lives of people and cultures spanning 24 countries. The project was three years in the making. A crisp, starry sky; sharp-edged, snowy mountains; and Japan’s famously adorable winter hot-springs monkeys open the sequence, which moves softly to a misty Southeast Asian morning as people begin their days. Gently crossing into Jerusalem, we pause at the Wailing Wall and then transition to Turkey, where Dervishes twirl through the frame. A Catholic priest quietly prays, and Buddhist monks appear before we float to South America, Australia, Kuwait, and the island countries of the South Pacific. These geographical places are not sequenced in any political lines or with any starring roles. 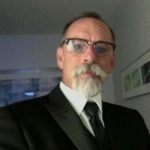 Magidson explains that the nonverbal presentation, with the omission of geopolitical identification, “gets to the core of what this film is all about. It’s an emotional experience,” rather than one in which the viewer is being guided by information. Thus, the only clue as to where we might be lies in any familiarity the viewer might have with the cultures onscreen; but of course, the where is not important. A universal human connection is established under the recurring theme of stars and an eclipsing sun. “The starfield was conceived as a metaphor for humanity’s relationship with the eternal,” Magidson explains. Another pan-global celestial link, the full moon, was filmed for three days per month as it shone over manmade and natural monuments around the world. The result was 12-15 seconds of footage per night, all interspersed throughout the film. Magidson adds that the fates were in the team’s favor during the Hawaiian solar eclipse, which they were able to capture the event from their hotel’s rooftop as the mists lifted. They had taken a chance by staying put, while others trying for a better shot from higher ground were disappointed by the cloudy morning. “We were able to take amazing imagery and create an arc to repeat the visual themes in nonverbal storytelling,” says Magidson. Some of the sequences are difficult to watch and challenge the soul, from the halls of Auschwitz through the torture chambers of Cambodia’s camps. While the scenes are still, they are not photographs, and it is impossible to close the eyes and turn away. There’s a redemption in the waters of the Ganges next to the fires of funeral pyres, where life and death meet. This was Walpole’s third trip to the holy river, and he remarks that “it takes a certain sensibility to really like it. It’s a very sad place, and you have to be very strong.” But underscoring the universal human connections of the film, life put Walpole in the presence of a boatman he’d met several years before, for a happy reunion. “Much of what is behind the scenes was as powerful as what’s onscreen,” he observes. In short, the journey through Baraka (a Sufi word meaning “blessing”) will be different for each viewer. The borders imposed across the world are revealed in this film to be artificial, created only by what the viewer knows and recognizes. Baraka removes each of these barriers, and replaces them with the certainty that we are all one on this earth.